First isolated in 1947 from a monkey in Uganda, the Zika virus was limited for decades to a narrow equatorial belt stretching across Africa and Asia, rarely affecting humans. In 2007, the virus breached its geographical range as the first documented outbreak was recorded in the Pacific Islands. The situation since has drastically changed. In 2015, the mosquito-borne virus was detected in the Americas with Brazil reporting its first case in May last year. Zika infections have now been reported in 23 countries and territories in the region. “We must use dengue dynamics as our reference point. Where you had a dengue outbreak in previous years and the mosquito aedes aegypti is still present, you have a risk of zika transmission,” Aldighieri highlighted. According to data, only around one in four infected individuals develop symptoms which include fever, rash, joint pain and conjunctivitis. “Most of the cases don’t present many clinical signs. 75 percent of patients infected by the virus will not develop any clear symptoms, or not enough to go to the clinic and see a doctor,” Aldighieri said. Experts strongly suspect two main factors have driven the virus’ progress in the Americas according to WHO, which also explained that though a causal relationship between Zika virus infection and birth defects including babies being born with abnormally small heads and other neurological syndromes has not been established. “First, the population is totally naive in terms of immunology against this virus. The second point is that the vector is everywhere in the Americas, from southern United States to northern Argentina,” Aldighieri said. 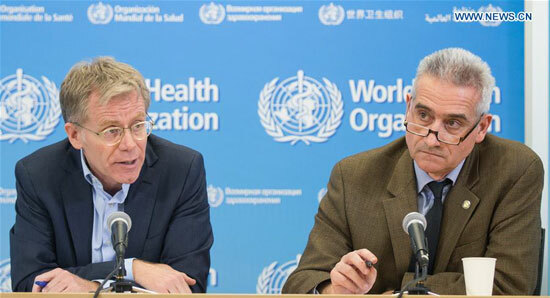 WHO Assistant Director-General Bruce Aylward warned that though the Zika virus is currently circulating at a very high intensity in the region, gaps remain regarding the situation on the ground. “With respect to China and Asia, at this moment we don’t have any official notification of Zika virus in that area,” he said, adding he did not know what would be the required timeframe, or indeed the feasibility, of developing a vaccine.